Stourbridge is a constituency in the West Midlands. The seat was created in 1997. The current member of parliament is the Conservative Party’s Margot James who has represented the constituents since 2010. Chris worked as a schoolteacher and as a solicitor. An experienced campaigner, he is standing for Stourbridge for the fifth time. Chris has lived in Stourbridge for 26 years. 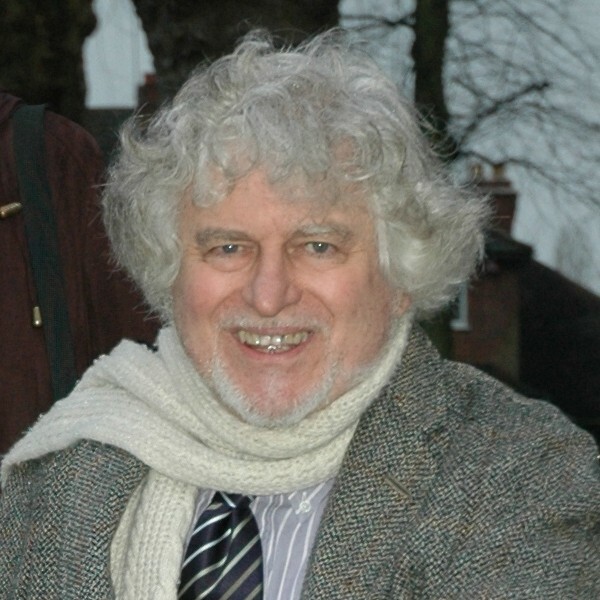 He joined the Liberal Democrats in 1992, as the party who were serious about environmental issues. Chris is passionate about fighting climate change, building a more equal society nationally and internationally, maintaining Britain’s influence in the world by keeping Britain in the EU – and safeguarding public libraries. Chris served nine years on Dudley Council as a councillor for Norton. Some of his achievements: the Stourbridge farmers’ market; outside lighting on the Broadway flats; saving The Mere playing field; and saving the children’s play area in Swan Pool Park. He campaigned for a Stourbridge Area Committee, and is disgusted that Labour have abolished it. He would support establishment of a West Midlands Urban Authority, and would look to it to improve public transport links, including restoring direct rail services from Stourbridge to New Street. Chris is aghast that Ukip and the Greens want to cancel HS2. Chris worries that a Conservative-only government would cut spending and imperil public services; whereas a Labour-only government would threaten the recovery by over-borrowing – like last time. A Liberal Democrat MP knows that there is no such thing as a “safe seat” – Liberal Democrats are used to doorstep campaigning, and, as a Liberal Democrat MP, I would always stay in touch with the people of Stourbridge, Cradley, Quarry Bank and Dudley Wood. I’ve lived in Stourbridge 26 years, married here, my children went to school and college here. 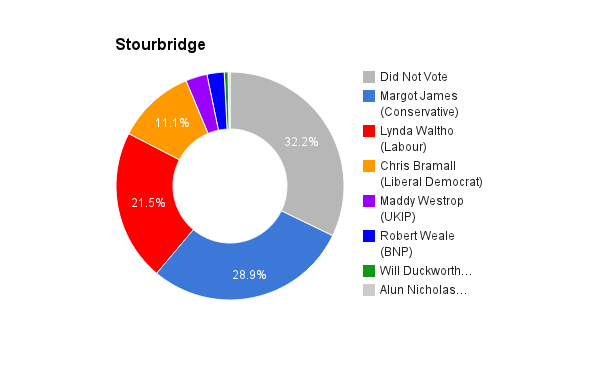 I want Stourbridge to have more say in running its own affairs. My party, the LibDems, believe in protecting the environment and have an amazing record in leading the fight against global warming, nationally and internationally. And we believe in building a fairer society, nationally and internationally. The LibDems are in the forefront in ensuring HS2 actually happens, with all the benefits it will bring to the West Midlands. I worry about the effects of a Conservative government, slashing public spending and welfare, and inviting Britain’s exit from Europe – a disaster for jobs and for Britain’s influence in the world. I also worry about a Labour government: in neighbouring Walsall the Labour council tried to close half the public libraries. Labour’s manifesto has just four references to the environment – whilst ours has over thirty! Margot James has used her business experience to work to increase British exports worldwide. She has spoken out in favour of Britain staying in the EU. She has also worked hard for gender equality. But I am sure she would agree that these are very much ongoing projects! In the view of the Liberal Democrats (unlike some Conservatives) “austerity” in public spending was never a virtue in its own right, but rather an unfortunate necessity brought on by the recession, the banking collapse and Labour’s overspending on so-called “investment” projects. Nick Clegg took a brave and patriotic decision in agreeing to set aside political quarrels and enter coalition with the Conservatives. The government has, on the whole, been successful in extremely difficult circumstances. The economy is growing, employment is growing, unemployment is falling. For the future, the LibDems claim that the Conservatives are planning to cut too far, and that Labour is planning to borrow too much. Immigration is vital for the UK. However, to regain people’s confidence, there needs to be more limitation of both legal and illegal immigration. The problem is inherited from past Conservative and Labour governments, who sacked too many immigration offices, and ended up in a situation that was literally out of control, in that no-one knew even what was actually going on. Liberal Democrats have advocated counting people in and out of the country, to ensure that, for a start, proper statistics are kept, and a start has been made on this. In addition, the racket of bogus students attending bogus colleges has been closed down. Migration for seeking work is a fundamental part of the European Union’s rules, but this should not prevent sensible reforms to prevent “benefits tourism”. There are already signs that this is correcting itself as the economy recovers. It seems to me that there has been a deliberate choice, accepted by trade unions as well as government, that, in the recession, it was sensible to have less unemployment rather than seek higher wages. But wages will now need to rise, especially in the public sector, both because it is fair, and because otherwise there will be serious skill shortages. Liberal Democrat policy points explicitly in this direction. The best plan is to stick to the current proposals – the NHS Five-Year Forward View put forward by England NHS Chief Executive Simon Stevens. The important thing about this thinking is that it comes from below as much as from above, and is therefore more likely to receive the confidence of NHS staff. We need to see greater priority given to mental health issues, as advocated by the Liberal Democrats. We also need to see better integration of the health service and social care – which is a really difficult project. First of all, keep the economy growing (don’t follow the Greens’ policy of zero economic growth). Secondly, don’t take risks with the government finances. Thirdly, develop still further the great expansion of apprenticeships. Fourthly, use small-scale local resources – state, voluntary and private – to carry out projects to increase employment. Check which work and which don’t, and spread best practice. Lastly, ensure we don’t go down the Greens’ route of a state income for everyone – an incentive not to work. Yes and no. We have more men than women MPs because more men than women stand as candidates. The political parties need to do more (the LibDems are already doing a lot) to train and encourage women candidates – but of course they then have to get elected! I definitely oppose all-women shortlists as practised by the Labour Party, as to my mind this is reverse discrimination and contrary to principle.